The Garden Route is best known for its glittering white beaches, sheer cliffs plunging into the Indian Ocean and the majestic Outeniqua Mountains. 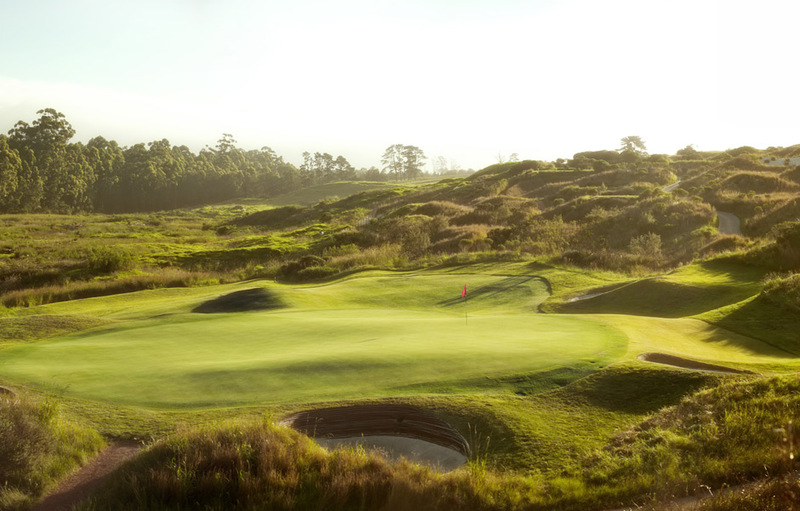 For those who love the history and tradition of the beautiful game, the Garden Route offers you the opportunity to play on four of South Africa’s most magnificent links course and three of her most inspiring parklands courses. For non-golfers there is a variety of activities from bungee jumping from the world’s tallest bridge jump to walking with the elephants. There is something for everyone along this pristine coastline. You will be met on arrival by a friendly African Fairways representative who will assist you onto your scheduled flight to Port Elizabeth Airport. The road transfer between Port Elizabeth and Kwandwe Private Game Reserve should take approximately an hour and a half. Your 3 nights’ accommodation will be in a Suite at Kwandwe’s Great Fish River Lodge a full board basis including; scheduled activities, local beverages and laundry. The Lodge is situated on 22 000 hectares of malaria-free private game reserve. Paying homage to the early Cape settlers the rugged Lodge features stone walls, thatch roofs and long wooden walkways. The decor is comforting and inviting, with gleaming antiques, warm rugs and huge fireplaces, the Great Fish River Lodge calls to mind a more sedate and gentile era. Generous viewing decks allow for lazy days, watching the bountiful wildlife as it makes its way across the reserve to the water’s edge. Kwandwe is a paradise for birdwatchers who might be lucky enough to spot the Fish Eagle or endangered Blue Crane. This is game-rich Big Five country and nocturnal viewing is a special treat. After an early morning game drive and a hearty breakfast you will enjoy a scenic road transfer (approximately 2.5 hours) to St Francis Bay. Here you will be met by your friendly hosts at the St Francis Links Golf Lodge where you will stay the next two nights on a Bed and Breakfast basis. Overlooking the first tee of the exquisite St Francis Links Golf Course this Lodge is an idyllic retreat where golf enthusiasts can escape to indulge in their favourite pastimes and revel in the beautiful surrounds of St Francis Bay. There is a natural, comfortable laid back style to the luxuriously appointed Lodge which is the perfect base from which to explore the many attractions of South Africa‘s glistening Garden Route and nearby malaria free game reserves. Decor is an elegant and contemporary Afro chic and the lodge offers 10 luxurious bedrooms in two separate, serviced houses with sweeping views of the golf course, ocean, and the gentle waterways of the surrounding riverside thatched village. St Francis Links is a truly mystical destination, whether you play the course or just visit for the incredible views it is beyond doubt, one of South Africa’s most breathtaking courses. Today you’ll find out why this exquisite course is ranked 9th on the South African Top 100 (Golf Digest 2012). This challenging course emerges from the natural landscape in a series of undulating fairways, rugged bunkers and luscious greens, all born from the natural movement of the land. Invoking the spirit of centuries old courses in Scotland and Ireland, St Francis Links is a must play course for the golfer who reveres the history and tradition and embraces the challenges of the glorious game. The lodge is just two minutes from the beach and there are many adventure filled activities to do in the area like 4x4ing at Baviaanskloof, bungee jumping at Storms River Bridge, deep sea fishing or kite-sailing. For a more sedate experience, there are horse rides along the beach, boat cruises down St Francis Bay’s waterways and the high tea served every afternoon at St Francis Bay Links clubhouse. For dinner tonight we highly recommend Big Time Greek Taverna. Speak to Perry the owner to make your reservation or we can happily do that for you. Today you’ll move further down the coast to Knysna, an approximately three hour’s scenic drive. Here you will stay in a Luxury Suite at Pezula Resort Hotel and Spa on a three night’s bed and breakfast basis. The multi-award-winning resort offers families and friends an incomparable lifestyle destination. Aside from the magnificent championship links course which is reminiscent of Gleneagles in the Scottish Highlands and Pebble Beach on the Monterey coastline, there is a myriad of eclectic activities at this fabulous resort. Your family will love the Estate’s Barnyard & Stables with its animal touch farm. Guests can enjoy horse riding and walk the nature trails through the Estate’s indigenous forests or take canoe trips up the Noetzie River. A shuttle service from the hotel also takes guests to secluded Noetzie beach where you can spend a lazy day soaking up the sun on glittering white sands while enjoying a sumptuous picnic. Knysna is a golfers dream boasting two magnificent courses. During your stay you will be playing at Simola Golf & Country Estate and the Pezula Championship Course at Pezula Resort. If you’re looking for an unsurpassed golfing experience on one of South Africa’s most scenic and impressive links courses, then you must play a round at Pezula Golf Club. 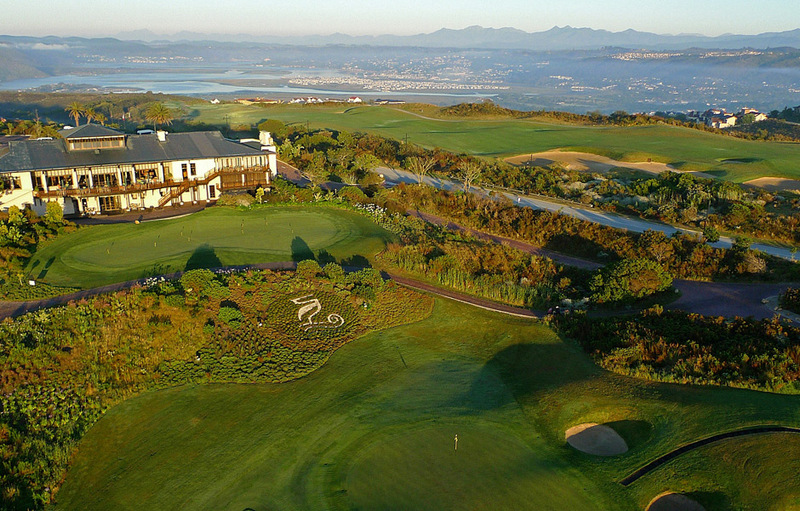 Overlooking the Indian Ocean from its perch atop the East Head of the Knysna Lagoon, this beautiful, multi-award-winning golf course is a sweeping spectacle of fairways and greens rolling through the pristine Southern Cape landscape. A leisurely drive of roughly an hour takes you from Knysna to George where you will spend three nights in a Luxury Room at the Fancourt Hotel on a bed and breakfast basis with dinner as an optional extra. The Fancourt Resort Hotel and The Manor House evokes a genteel tranquillity and old world charm that will satisfy the most discerning traveller. Whether you are going to test your skills on one of three championship golf courses, or rejuvenate your spirit at the world-class spa, there is something for everyone at this exclusive resort. 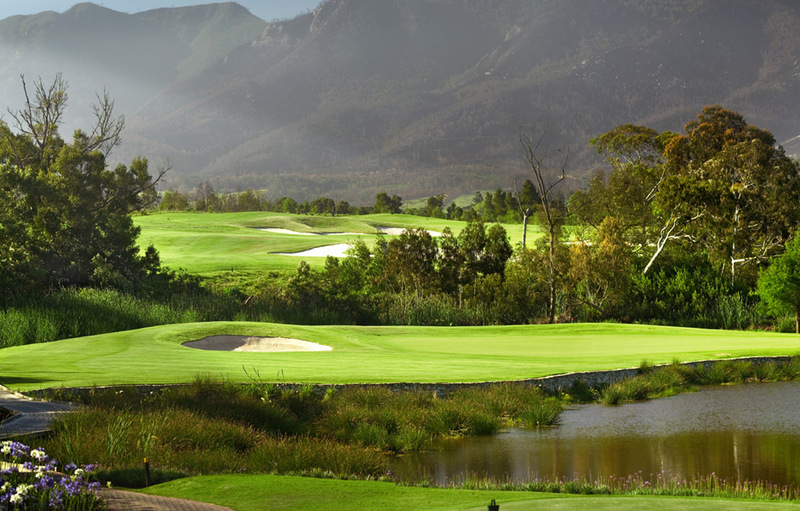 Spend your days playing one or all of Fancourt’s magnificent golf courses. All three are ranked in the Top 20 courses in South Africa. Fancourt is a premier leisure and golfing destination and home to The Links (ranked No.2), the Montagu (ranked No.7) and The Outeniqua (ranked No.17). Each of these courses has something different to offer players of all levels and experience. 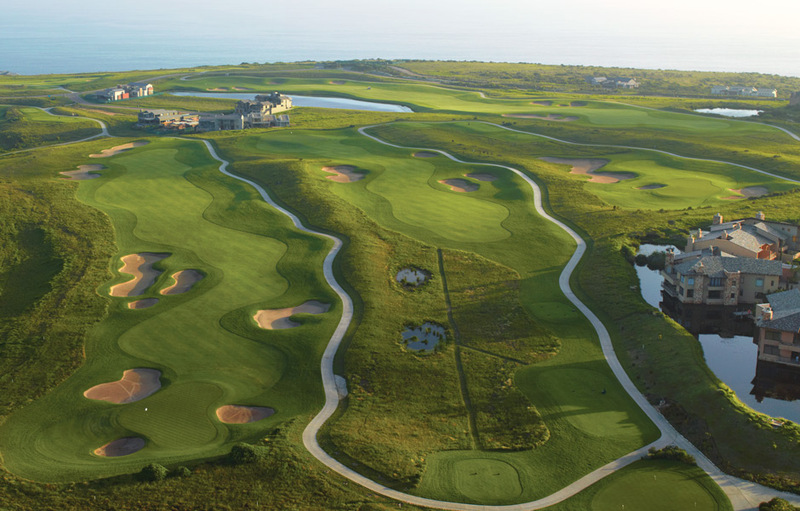 Optional: Just 10 kilometres outside George is the beautiful Harold’s Bay, home to the traditional links Oubaai Golf Course – the first Ernie Els Signature Course in South Africa. 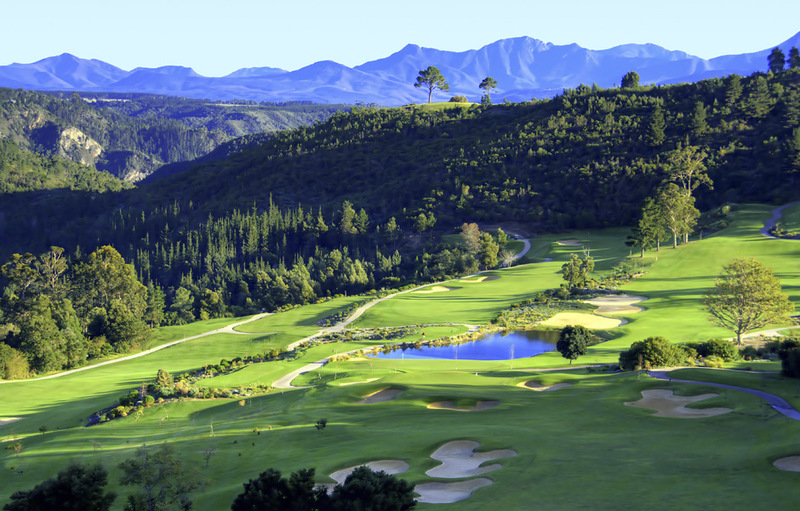 Playing out against the backdrop of the majestic Outeniqua Mountains and winding its way along the Indian Ocean coastline, the lush emerald course is a jewel in the Garden Route crown. This traditional links course is currently ranked 28th in the top 100 golf courses in South Africa by Golf Digest (2012). 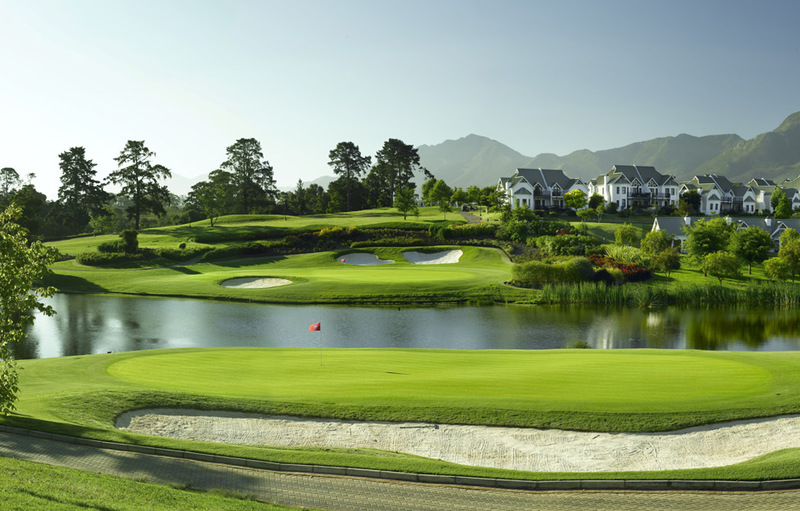 There are numerous activities to enjoy at Fancourt and in George and the surrounding areas. The area is a nature lover’s paradise and there is a wide selection of sporting activities and a supervised kids club on site. You will be transferred from your hotel to George Airport where you will board a flight to Johannesburg International Airport for the start of your journey back home.